Audio-Technica is preparing for the upcoming shift away from wireless systems operating in the 600MHz band (614 to 698MHz), mandated by law as a result of the ongoing FCC wireless spectrum reallocation initiative. To meet the demands of this situation, A-T has announced a wide-ranging trade-in rebate program that will assist wireless users in switching to a new system that accommodates the new guidelines, on their terms, through March 31, 2019. The transition period will create an uncertain operating environment for users of 600MHz wireless systems, who will be affected differently depending on their geographic location. Some may need to switch to new systems right away or fairly soon, while others will be able to operate longer. A few may even be able to hold out until the FCC mandated deadline of July 13, 2020. 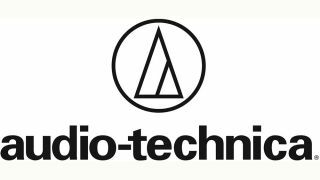 Audio-Technica’s longer trade-in rebate program allows additional flexibility and options for this important switchover. Due to the complexity of the reallocation and the number of parties involved, there is no way to accurately predict just how—or when—individual users will be affected by these changes. Unless your system is part of a mission critical application, Audio-Technica recommends following a use-it-til-you-lose-it path: Begin budgeting for a new system, get as much use as you can out of your current 600MHz system (up to the FCC deadline), then make the switch once you encounter problems. This also may allow you to take advantage of any new wireless systems brought to market before you make your switch to a new wireless system. Audio-Technica is offering a “Trade In On Your Terms” program to help users make the switch out of 600MHz when necessary. For each 600MHz wireless system traded in (regardless of manufacturer), users will receive a rebate on an eligible Audio-Technica wireless system. A-T is running this trade-in program from August 15, 2017 through March 31, 2019. 1. Verify that the trade-in system operates in the 600MHz band. The receiver and/or transmitter should include a sticker with the frequency range. If any part of the listed frequency range falls within the 614–698MHz range, the system will eventually be prohibited from operating and is eligible for trade-in. •A copy of the sales receipt for the new A-T system with store name, date of purchase, model number and price paid clearly legible. •The original (not a copy) UPC bar code cut from the product box of each new A-T system purchased. Not from the shipping carton. •The old 600MHz wireless system (receiver and transmitter). Note: To receive the full trade-in rebate on a dual-channel system you must send in two channels (i.e., two single-channel receivers or one dual-channel receiver, plus two transmitters) from a 600MHz system. For complete terms and conditions, please visit www.audio-technica.com/600mhztradein.